Jamie, Lily, Kevin, and Cassie will all be in Anaheim, California at 10:30 for a special signing. 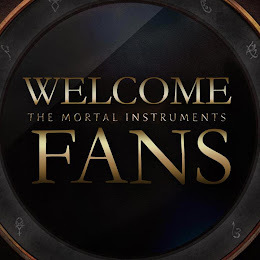 Sony Pictures is excited to announce a special autograph signing by Lily Collins, Jamie Campbell-Bower, Kevin Zegers, and Cassandra Clare (Author) for their upcoming release The Mortal Instruments: City Of Bones. Please visit the WonderCon Anaheim booth #176 on Saturday at 10:30 AM for details. Check out the full schedule here. And for the map, here.